Facing a Criminal Charge is stressful. 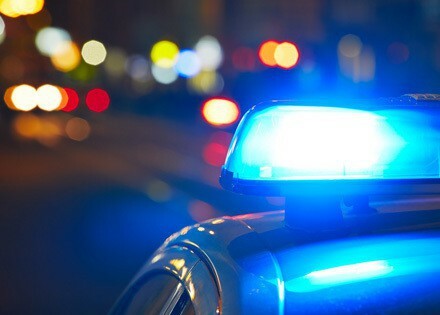 Whether you’ve been charged with a Felony, Misdemeanor, or Violation, and whether those charges are pending in State or Federal court, our attorneys have the knowledge and experience to handle your charges properly and protect your rights. We don’t take our responsibility lightly because we know many times someone’s liberty is at stake. The consequences of a criminal charge can be extremely serious. You could be faced with fines, probation, or incarceration. Our goal is to secure the best results for your case, both in terms of minimizing potential penalties and working to keep your record as clean as possible. If you have been charged with a crime, you need a skilled and qualified criminal defense attorney with actual courtroom experience on your side. 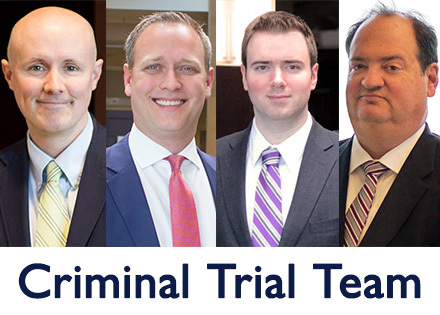 Our Criminal Trial Team brings you a combined 65 years worth of experience, and our preparation as criminal trial attorneys will help maximize your chances of obtaining the best possible outcome for your case. Our team prides itself on preparedness and knowledge. We know that not every case will go to a jury trial. However, by preparing each case for that possibility through a thorough investigation and understanding of the facts, we work to achieve the best possible results for our clients. If you or a loved one has been arrested, do not wait to secure representation. Call the Criminal Trial Team at HoganWillig today. *1 hour maximum free consultation (in-person, by telephone, or via Skype) with hourly rates applying after that.